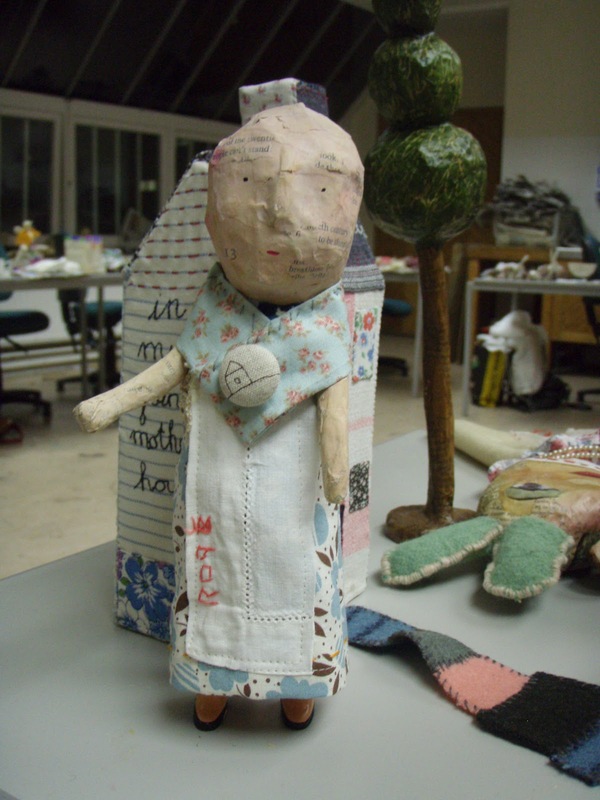 I am just back from a couple of days at West Dean College where I did a short course with Julie Arkell. 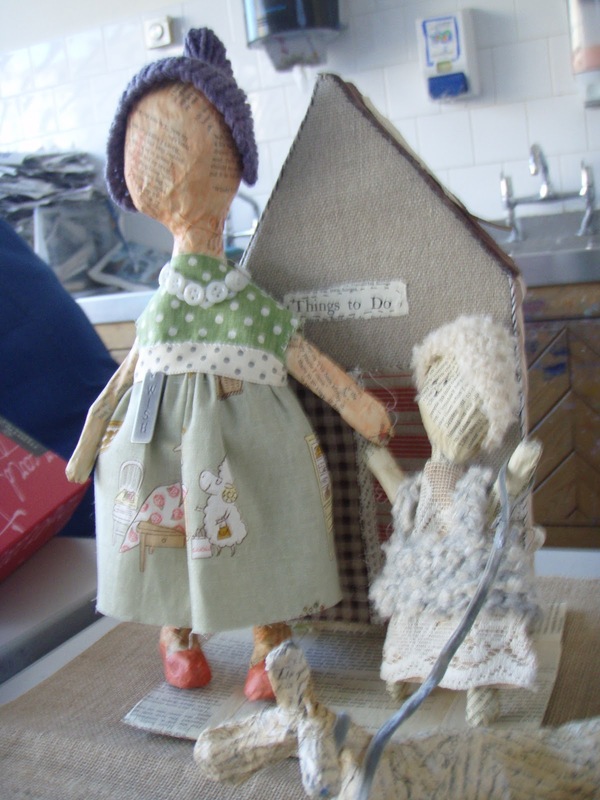 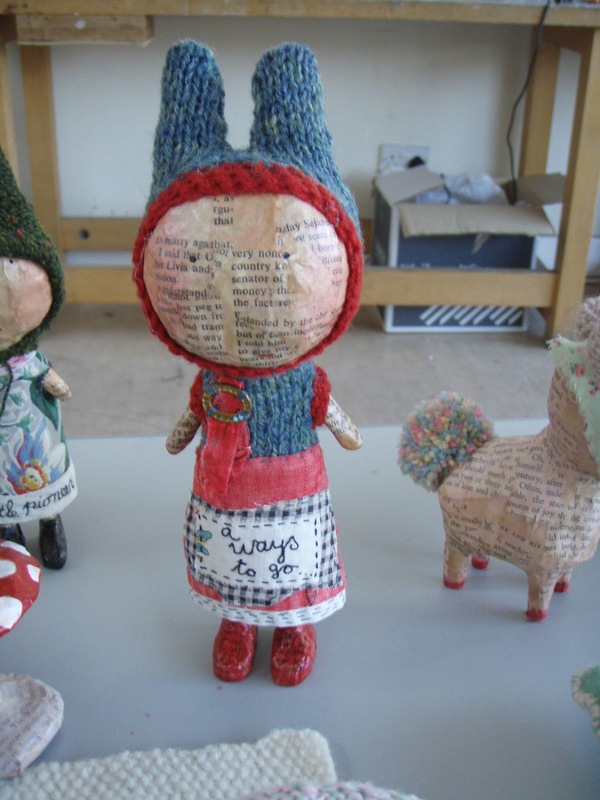 The title of the course was "Creatures and stories in papier-mache, knitting and stitch". 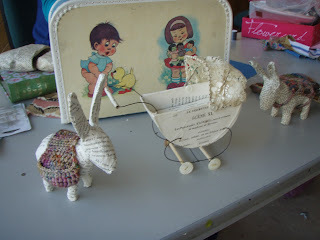 Below are some of Julies pieces. 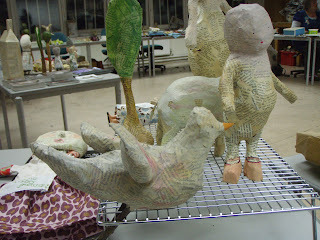 I enjoyed the papier-mache part the best as I am not keen on hand sewing and my knitting skills are limited. You can see below I made a bird, tree, animal, people, puppet and a house (not in photo) I got a little carried away. 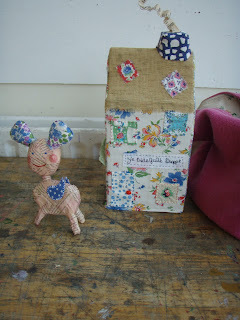 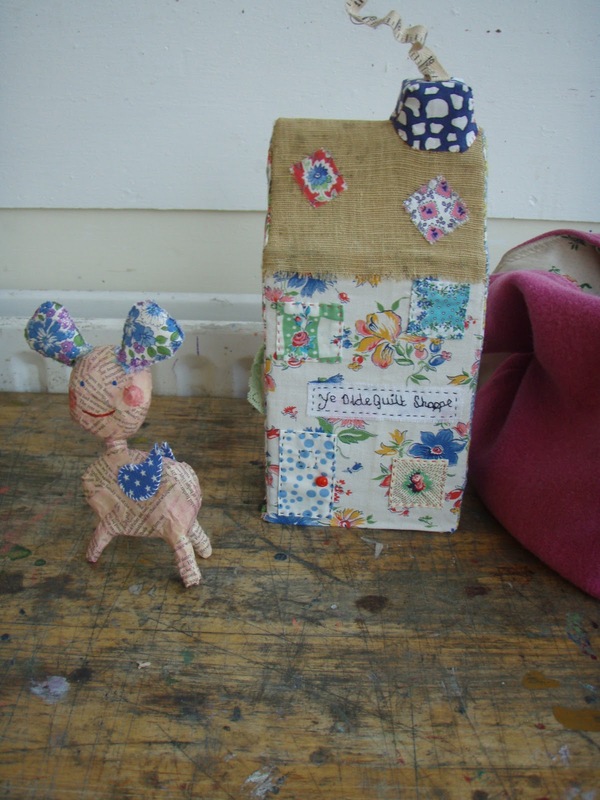 Helen made this house and animal with floral ears. 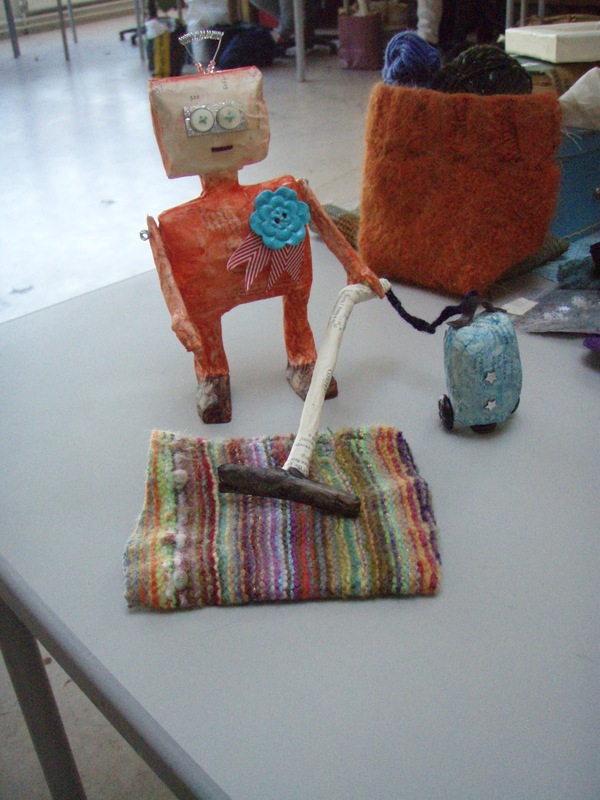 Angela made this happy family. 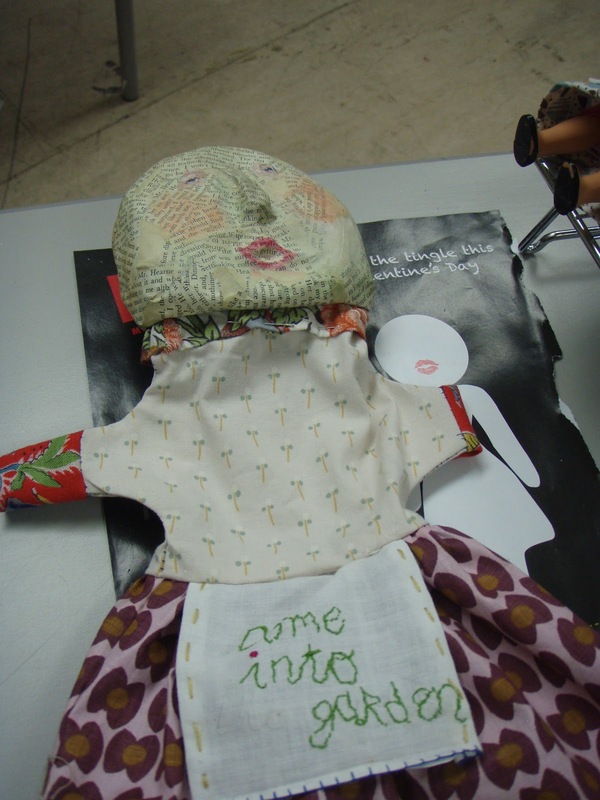 I made lots of dolls but only managed to finish this one in the class. The other dolls I made are making their way home by post so I'll put them up when when I finish them. 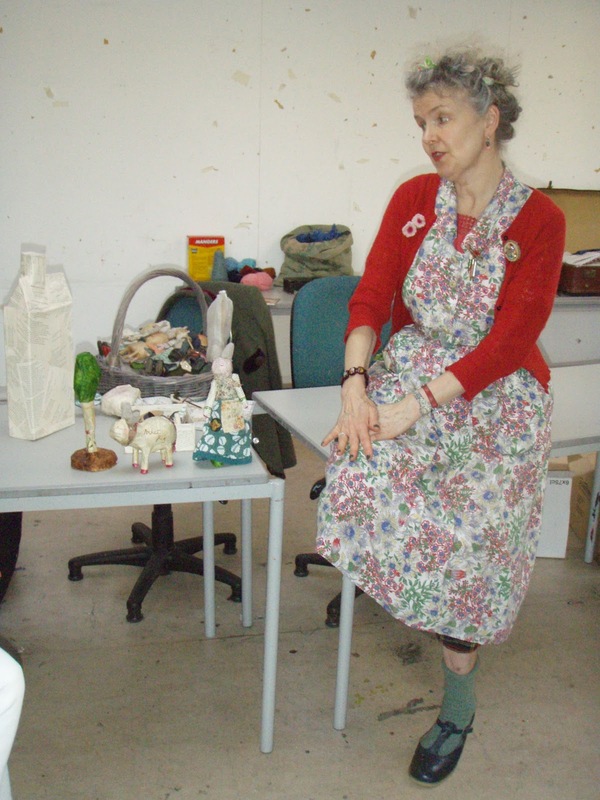 Julie is a wonderful tutor, and the class was a real escape from reality, pure child's play for a couple of days. The others in the class were so talented, friendly, helpful and very good company. 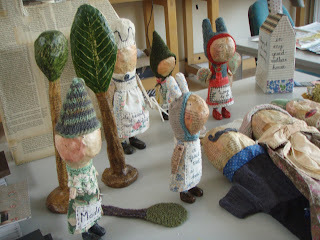 Wow, I love the work of Julie Arkell.